Home/ Astrology/How To Wear Blue Sapphire Gemstones? The blue sapphire gemstone or Neelam gemstone belongs to the most productive planet Saturn. Saturn is recognized to be a crucial planet that creates a huge impact in the lives of all living creatures, especially in the lives of human being. The dominant planet has the potential to make both positive and negative effects on its wearer life. And precious blue sapphire is regarded to be the carrier of Saturn’s divine energies of the earth. Often it is being conveyed that if blue sapphire suits a person, it would surely bring dominated power, success, financial abundance and sound health of its wearer. 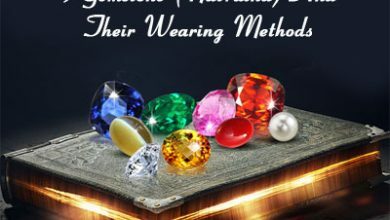 However, to attain all these positive aspects of Saturn in your life, you must know the right procedure of wearing a blue sapphire gemstone or in other words, you must know what the right method of wearing a blue sapphire stone is? Now, a question might pop up in our mind that why so much emphasis has been given up on how to wear blue sapphire stone? So, the answer to this question is that wearing method of blue sapphire plays a vital role in deciding whether this stone will prove beneficial for you or act against you. And, mind you one more thing that if blue sapphire does not suit you, then it has immense power to stimulate negative forces in your life within no time. Hence, do consult an astrologer before wearing this stone to invite positive results offered by the substantial planet Saturn. To attain magical attributes of Saturn in your life, read out the step by step guide to wearing blue sapphire stone. This guide comprises of even nuanced details of wearing blue sapphire gemstone such as Which metal blue sapphire stone should be embedded? Which is the right day for wearing a blue sapphire? Which mantra should be chanted while wearing blue sapphire? On which metal one should wear blue sapphire? Answer: The best metal to set blue sapphire stone would be gold or panchdhatu. While choosing the metal, you must seek advice from an astrologer and ring must be designed in such a way so that a part of blue sapphire must come in touch with the skin of its wearer to transmit its energies in the aura of its wearer. In which finger blue sapphire to wear? Answer: As per astrologers, the middle finger or middle finger of the right hand is associated with the planet Saturn. Wearing a blue sapphire ring in the middle finger or middle finger of the right hand will be considered as the best choice. What day and time to Wear Blue Sapphire Gemstone? Answer: Saturday is classified as being the best day to wear blue sapphire stone. One can wear blue sapphire gemstone on Saturday morning between 5 am to 7 am. in Shukla paksha days. What should be the ideal weight of blue sapphire? Answer: As per astrologers, the perfect weight of blue sapphire stone should be between 4 carats to 5 carats. Otherwise, as per popular belief, a person should buy this stone 1/5th of their body weight. Is it must activate the blue sapphire? Without activating the blue sapphire – Neelam with the right astrological process may give bad effects. So it is just to activate the blue sapphire by Shani Mantras before wearing. Which mantra should be recited while wearing blue sapphire? Ceylon Blue Sapphire price starts from INR 7000 to INR 100000 per carat in India. 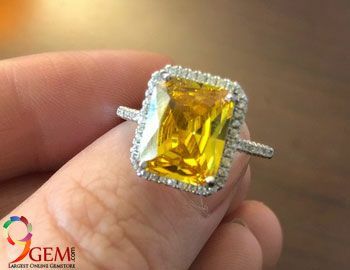 Step 1: Before wearing this stone, one should purchase a high quality or natural blue sapphire stone from a reputed gem dealer. 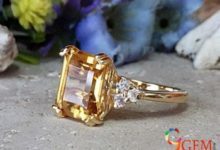 Because the quality of gemstone plays a vital role in deciding how beneficial gem will prove to you. Step 2: After buying, one should consult an astrologer to understand precisely the right procedure of wearing blue sapphire stone. Step 3: Before wearing this stone, one should immerse this stone in un-boiled milk or pure water to wash off the impurities from the stone. The ideal weight of blue sapphire ring must be in between 4 to 5 carats. Step 4: Saturday morning is considered as the best day to wear this stone. So, one should wear this stone during this period. Step 5: One should burn five incense sticks and round it around the stone five times and chant or recite the following Shani mantra before donning this stone. Step 6: The blue sapphire ring should be worn on the middle finger of the right hand reciting the Shani mantra. Step 7: After donning the ring, one should offer prayers to God Shani, and if possible he/she must provide urad daal, mustard oil, salt, tea and cleanser to the poor. Furthermore, you can also pour milk, seeds and green leaves on shivalinga for experiencing excellent results. Step 8: The mystical blue sapphire stone will commence showing its result the minute you adhere to it. However, since we know that Saturn is a vengeful planet; therefore, before wearing this stone one should keep it under their pillow to find out whether it suits them or not. If keeping it under the pillow he/she sees bad dreams, then they must avoid wearing this stone. Step 9: The lifespan of blue sapphire stone is almost four years and after four years one should retire the stone and as per the advice of an astrologer decide whether they need to continue wearing this stone or not. I want to purchase a Blue Sapphire and an Emerald gemstone. Kindly provide the address of your shop/outlet either in Mumbai or Bangalore I would like to personally visit. Please suggest best gem for financial growth in life. We are Gemologists and we can only help you in stone selection. For Vedic Gem recommendations, we need to consult with third-party astrologers. We are in touch with some of the best in the industry but the consultation services are paid and not free. Please send us your query to support@9gem.com if you ready for payment. also let em know my life report. Please take advise from an astrologer and let us know about your gemstone requirements. It is highly important that you more focus on the positive thing and leave away the negative one. A stone can only help you when you try something from your side as well. What are the rules to follow after wearing of the Blue Shappire stone. I mean is there any rules that have to maintain after wearing the the Blue Shappire stone? Please late me know. 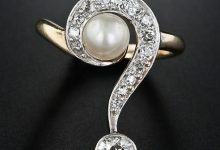 If you are going to wear the stone for astrology use, please consult with the astrologer first. Blue sapphire is a highly active gemstone and can make the situation worse. So please take proper advise and then follow the instructions. Moon conjunct Saturn in10th house in my kundli can wear blue sapphire stone. Please take help from local astrologer as we are Gemologists and provide gem recommendation services with the help of third party astrologers. Our services are paid. If you are interested contact us at support@9gem.com. What is taantrok mantras for Shani and Rahu? 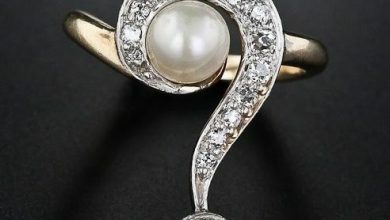 We are Gemologists and will not be able to answer your query. Please consult with astrologer or surf on the net for the right answer. First, you always need to consult with expert astrologer who has good knowledge in Vedic Chat readings. For astrology gemstone recommendations depends upon the birth chart readings. Second, You need to check blue sapphire that you are wearing is natural or synthetic. 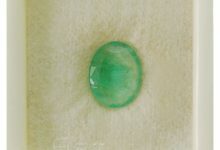 Basic thing is that you must have a certificate of a gemstone that you purchased. Sometime stone can harm if not worn with proper rituals and instructions. Sir, I have a ring which has 4 blue sapphires of cumulative weight of 0.67 cents only and it does not touch the skin. 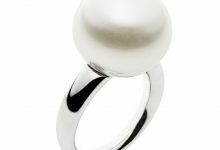 Could you please tell me is such a ring setting is likely to have any effect on me astrologically? Can I wear it without any harm? Thank you. It is advised to wear a ring with the gemstone that touch the skin. Otherwise there is no use of wearing gemstone for astrology purpose. Please make some changes in the ring with the help of local jeweler. Make it in such a way that it touch your skin. I heard that Aquarius are wear neelam stone. But i want to know am i suitable to wear neelam stone trough my janam kunduli. If i wear then what is the rati & which neelam stone is suitable for me. & what is the price with & without ring. You need to enroll for Gem Recommendation services provided by the third party expert astrologers. Gem Recommendation services are paid. Contact on info@9gem.com for more details. Sir my name is sumana.i have been recommended to wear blue sapphire by my astrologer.i have been wearing it for last 12 days directly into my middle finger without keeping it under the pillow.is there any harm?? Please follow the instructions given by the astrologer. We will not be able to help you in that. Consult with astrologer if you are facing any problem after wearing it. First you need to consult with astrologer for gem recommendation services. Gem recommendation services are provided by third party astrologers and its not free service. Second if you want to buy blue sapphire, please check the shop and select the stone. 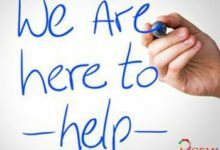 Ask for help anytime with chat support. I want to know about the quality of Blue sapphire . how about the quility of natural blue Sapphire with 6.64 ct. Will it be fruitful to wear or vice versa. Kindly provide me appropriate suggestion..
For me sade sathi sadhna has started on Jan 2017. Could u Pls advise whether do I wear blue sapphire. You can wear blue sapphire gemstone for “sade sathi”. 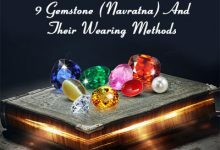 But we recommend you to consult with the expert astrologer along with your birth chart so that he can suggest you about wearing blue sapphire gemstone. After taking suggestions from astrologer, you can buy blue sapphire from our store online. If you have any question, you can take help from our chat support from the store. Feel free to visit the store at http://www.9gem.com. As per astrologer’s advice for career development I bought blue sapphire & had worn on left hand wedding ring finger.I had been worn for 1 years but no development in my career & life..I saw your website today & totally feared about my finger wearing. Is that ring be used again to wear on Saturday on right hand middle finger? One thing that I want to know…did you get the right stone as per recommendations along with the gem certificate? If not then you can not blame the ring and wearing methods alone. Did you asked for the origin of the stone? 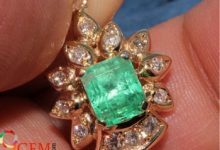 You must buy natural certified gemstones from a genuine seller whether it is a jeweler or online seller. As we are Gemologists and will not be able to answer astrological questions…You need to consult with the astrologer before wearing any stone if you are looking for the astrological benefits. We are associated with the third party expert astrologers for these types of queries. If you want help from our end please let use know. Astrological services are paid as your query will be passed to astrologer for the best solution. First you need to understand that if you want to wear a gemstone as a jewelry part or astrological purposes. Blue sapphire is a very good stone for both the purposes. Please consult with expert astrologer along with your birth chart if blue sapphire suit you or not after reading your birth chart. Please consult with an expert astrologer for the stone suggestions as we can not help you in astrological questions. We can help you to choose the best blue sapphire stone that best suit you as per your recommendations. Thanks for writing to us Sankarji…We can only help you to select the best stone as per your requirements. We are not astrologers and will not be able to give you advise on which stone suit you best. For this you need to consult with expert astrologer and he will let you know about the stone that suit you as per the birth chart readings. Just wanted to ask that Girls should also wear blue sapphire in the middle finger of RIGHT hand only ?? because I have read few times that girls are supposed to wear gemstones in left hand. I will be really thankful if you answer this. If you are using a gemstone for fashion then you can wear it in any hand. If you are looking for astrological benefits by wearing a stone, then you have to consult with expert astrologer before wearing any stone. How to reactivate the Neelam stone after four year? Thanks for your query. We are gemologist and can not suggest the stone on astrological purposes. 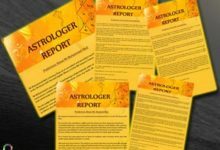 For astrological questions, you need to consult with an astrologer or you can take help from our recommended astrologers. Please visit the gem recommendation page on the store front and let our customer support executive about that. In my kundali chart at 9th house occupied by saturn.Should I wear neelam and how much carat? I have a qustion to you sir. My moonsign is cancer and i have shani in my kundali. So my astrologer has suggested me to wear pearl ring in fourth finger and blue saphire ring in middle finger. 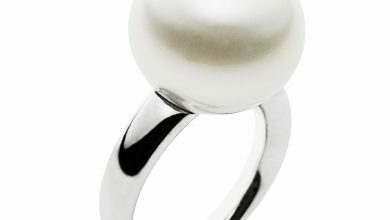 I would like to ask your suggestion on whether it is ok to wear the pearl ring and saphire ring together? Would it beneficial for me?